Strips are solved as continuous one-way slabs, with loads pxi and pyi applied on spans lxi and lyirespectively, using one of the known methods. Stiffness coefficients are determined considering each strip as bar fixed either at one or both ends. 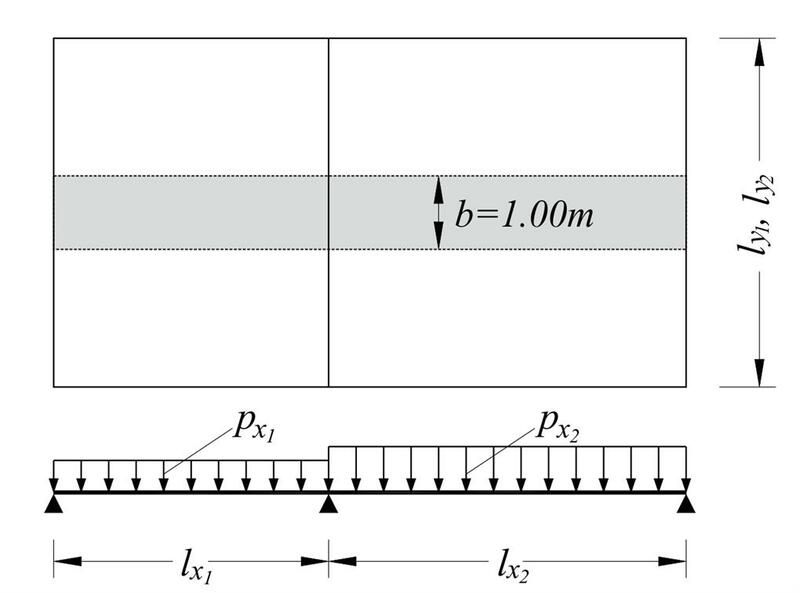 The errors associated with the calculations of stiffness by this method could be very significant, due to considering the strips as independent bars. In reality, the stiffness of slab depends on both directions. 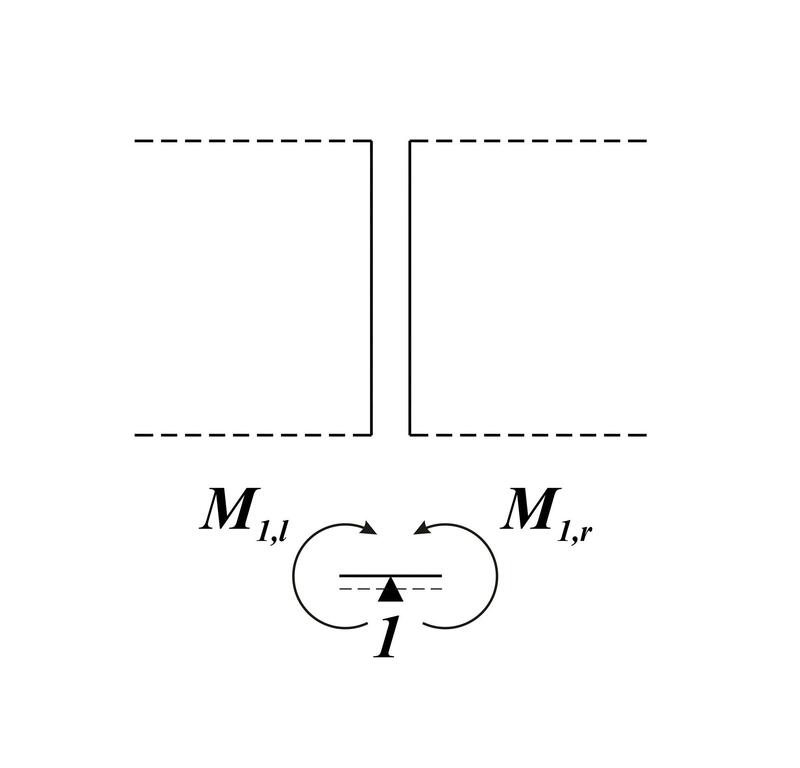 Even greater error occurs in the calculation of transfer coefficients of support moments, as well as in the calculation of span moments, due to rotation of the support (or equivalently, due to external moment imposed on the support). These differences are shown in the next example. Stiffness coefficients and transfer indices of each slab depend on its type of support and its aspect ratio. These data are provided by tables in several books, e.g. by Hahn. All supports are considered fixed when principal moments are calculated. One support is freed, e.g. 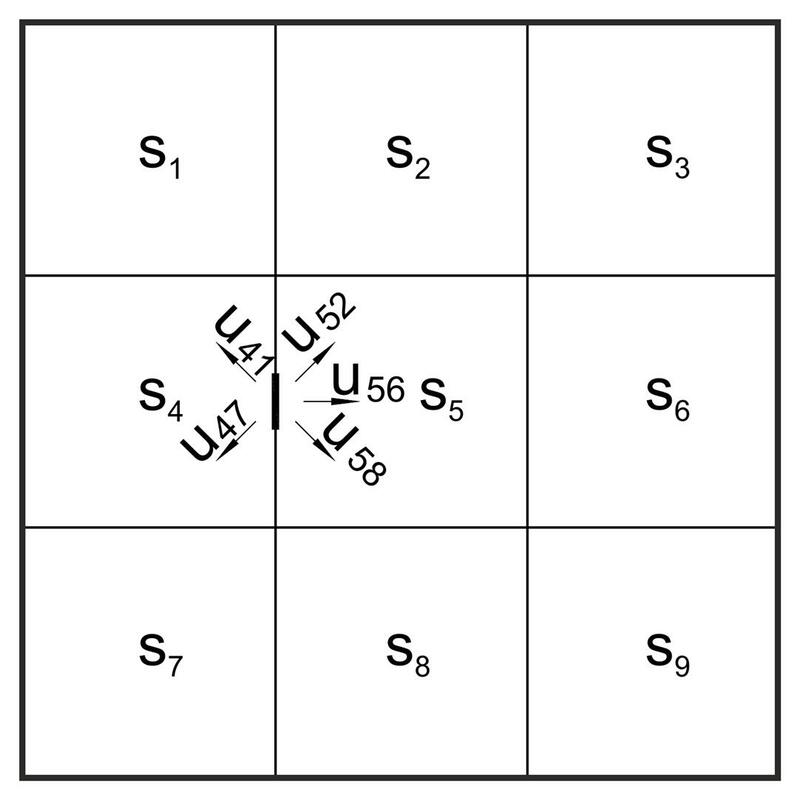 45 of the figure, and distribution takes place on all directions (i.e. CROSS method on plane). This procedure is repeated until moments balance. Such a solution is, certainly, complex and laborious, but it is applicable in case of large spans with significant differences in dimensions and thicknesses. are the principal moments at support 1. Support moments affect at minimum level span moments, resulting the latter to be calculated considering rigid supports. This particular method is applied in the majority of practical problems, as it combines adequate accuracy (much more accurate than the strip method) with high speed application.